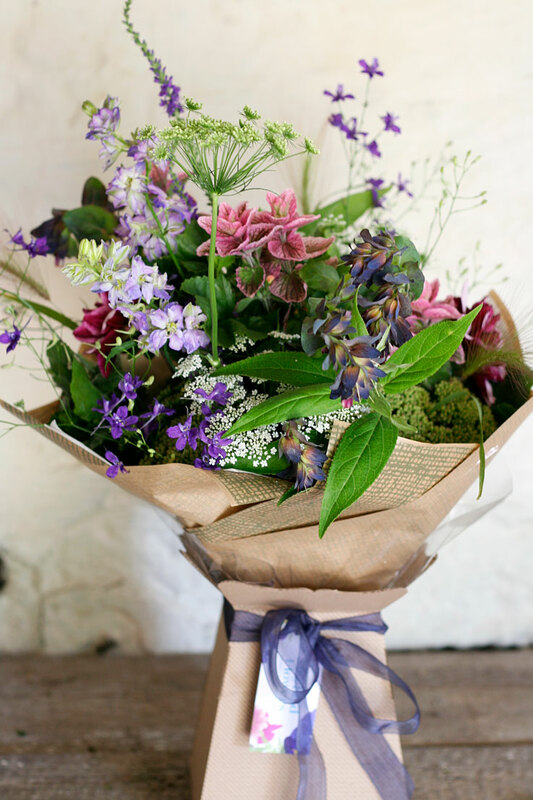 Receive a beautiful fresh new bouquet of our hand picked flowers every fortnight or month. 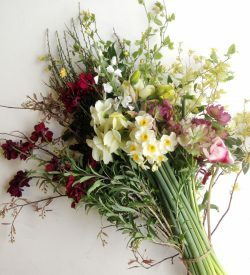 All our bouquets are hand picked to order from our flower field so freshness and seasonality is guaranteed. Available April to October, flowers are carefully conditioned for a minimum vase life of five days. Gift wrapped flowers are aqua packed and in a box for presentation. Available by post or local collection (Glasgow/Stewarton) on certain days – see description below. If you would like a small bouquet, plain wrapped flowers or local delivery please get in touch. Please add any card message under “order notes” on the checkout page. 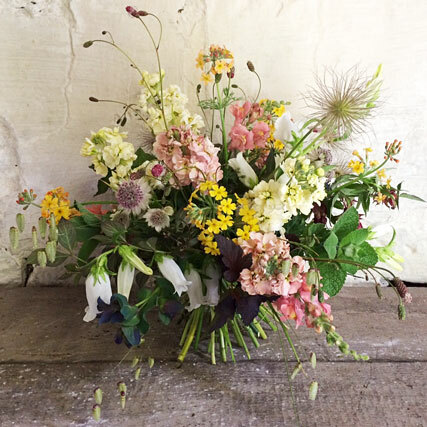 Receive a fresh new bouquet of our hand picked flowers, delivered fortnightly or monthly during our growing season. 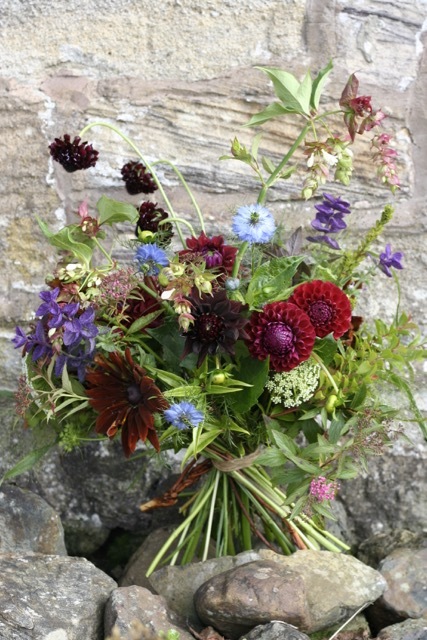 Bouquets are available by post or local collection (Glasgow/Stewarton). Prices above are for the medium and large flowers only, for postal delivery an additional £13 (£17 for Saturdays) is added after the billing stage of ordering. Postal delivery is by Royal Mail Special Delivery by 1pm (5.30pm for parts of the Highlands and Islands) and a signature is required. Choose from our routine postal delivery days of Tuesday, Friday and Saturday. 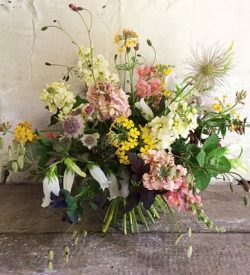 Postal orders need to be made by 9am the day before delivery to give us time to harvest, condition and arrange your flowers.